The Team Guru Podcast is 10 Episodes Young! The Team Guru podcast is now 10 episodes young! Every second Tuesday, for 20 weeks, we’ve published a brand new conversation, with fascinating guests, about leadership, work, personal development, politics and life. If you’re only just tuning in, this is what you’ve missed. For 40 years Bob Katter has been a part of state and federal politics. To some he’s a right wing loon, to others he’s a heroic defender of Australian values. Whatever your opinion of his opinions, Bob Katter is a colourful personality and a survivor of the rough game of politics. 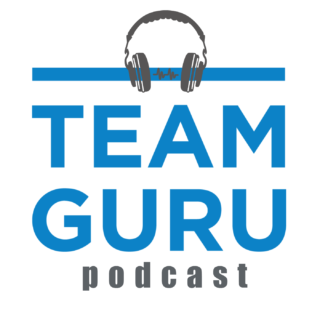 In this episode of the Team Guru Podcast Bob gives us his take on leadership, his heroes and some intriguing background stories on some of our country’s most controversial characters. Step into the bubble of professional sport. The highs and lows. The inciting trapping and perilous pitfalls. Michael has spent more than 20 years in and around the lives of our nation’s professional sportsman – and the reality doesn’t always match the hype. Stephen has an incredible ability to make the weighty and often bland issue of political discourse relevant and thought provoking. He helps us make sense of the changing relationship between our political class, the media and the voting public. After ‘winning’ at her honers degree, becoming a VP at Credit Suisse at age 29 and graduating from Harvard Business School, Prue now runs a multi-billion dollar vision of Australia’s largest freight company. Smart, ambitious and incredibly self aware – this episode of the Team Guru Podcast is a portrait of career success. Johannes is a rockstar of the orchestral world. Born in Meissen East Germany, he grew up, was educated and began his professional career under communist rule.This and his 35 years experience performing with orchestras and opera companies all over the world has shaped his approach to leadership. In this episode to the Team Guru Podcast Johannes gives us amazing insight into the way a professional orchestra puts together their performances and recruits their members. But most of all – he takes us deep wthin is own personal philisophies on leading people and producing beautiful music. Jason is the man you want in your corner when things go wrong. For 20 years he’s helped companies, individuals and nations navigate their way through tough times. In this episode of the Team Guru Podcast you’ll get a step-by-step guide in how to plan your communication strategy in a crisis – as well as some behind the scenes stories from some of the best known cases of our times. Boo is a former actor who now helps his clients master the art of communication. This episode of the Team Guru Podcast is a masterclass in communication – a free lesson from one of the best in the business. Are there any teams that work under greater pressure, for higher stakes, than an emergency department at a hospital? In Colin’s world healthy leadership and team dynamics save lives – and he gives us an amazing insight into that world. Former Wallaby, coach, rugby administrator, COO and current GM of Team Performance with cricket Australia – Pat Howard is in the midst of a pretty remarkable career. He’s learned lessons about life and leadership on every step of his journey – and he was only too happy to share them during this episode of the Team Guru Podcast. Get an insight into the way professional football teams develop their healthy team dynamics as well as the masterful approaches to leadership from some of the game’s best coaches.